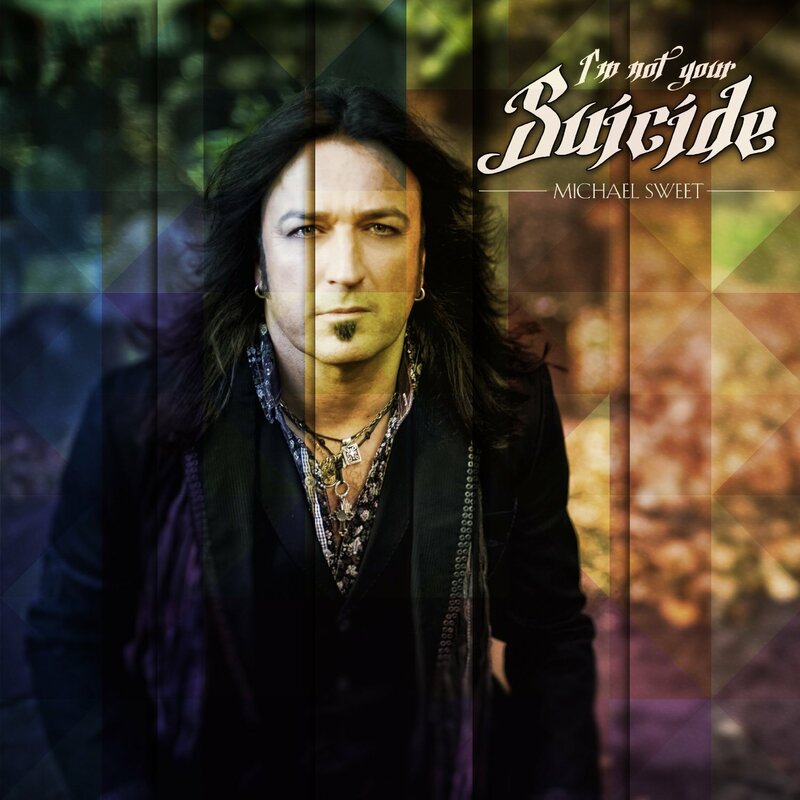 Michael Sweet and the rest of Stryper continue their break-neck pace of releasing albums. Given the steady stream of content they’ve been delivering, you’d think the quality would be quite spotty though that hasn’t been the case. BUT… Fallen is a bit of a step down from the very heavy and anthemic No More Hell to Pay. I must admit, I’ve given this album multiple spins but it’s not grabbing like recent previous efforts from the band (or solo Sweet) have. In fact, I’m struggling to even come up with anything to say about this album because it’s neither terrible or great. It’s a solid but ultimately nothing sticks with me after having listened to it. It’s almost sounds like tracks that couldn’t make the cut for the previous album. “Heaven” is easily the best song here and their cover of Black Sabbath’s “After Forever” is good but there’s not much else worth mentioning. Stryper has done very well for themselves since releasing their comeback album, Reborn, in 2005. They’re one of the few “hair” bands that has remained relevant by successfully tweaking and modernizing their sound instead of trying to write songs that remind you of their 1980s albums. With this release though, it seems like they’ve taken quite a bit of inspiration from classic metal and decided to leave the lightweight sappy stuff at home. After releasing an albums of covers and then an album re-recording their own songs, I was beginning to wonder if an album of all new original material would surface. Arguably, No More Hell to Pay is their heaviest, darkest and hardest album to date. 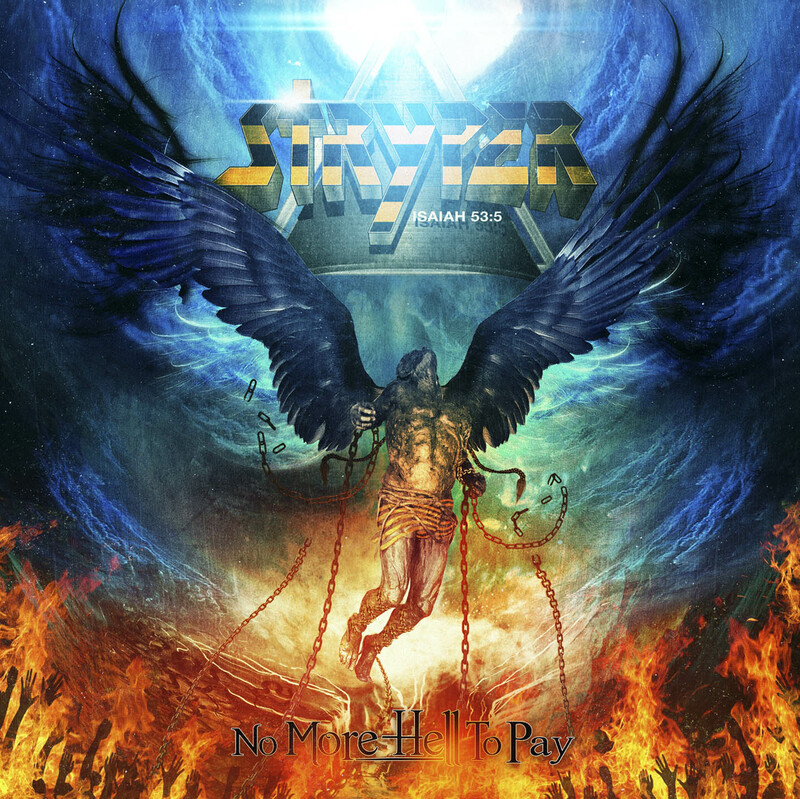 Recently songs like “God” (from The Covering), “Blackened” and “Bleeding From the Inside Out” (both from Second Coming) were great indicators of exactly where Stryper was going with this release and the band has not disappointed me! “Revelation”, “No More Hell to Pay”, “Legacy” and “Saved By Love” are absolute molten epic metal tracks. “Revelation” is my favorite song of the bunch with “The One” coming in second. “The One” is the album’s lone ballad, but I’m not sure if you could even call it that because it’s still pretty heavy for a ballad! 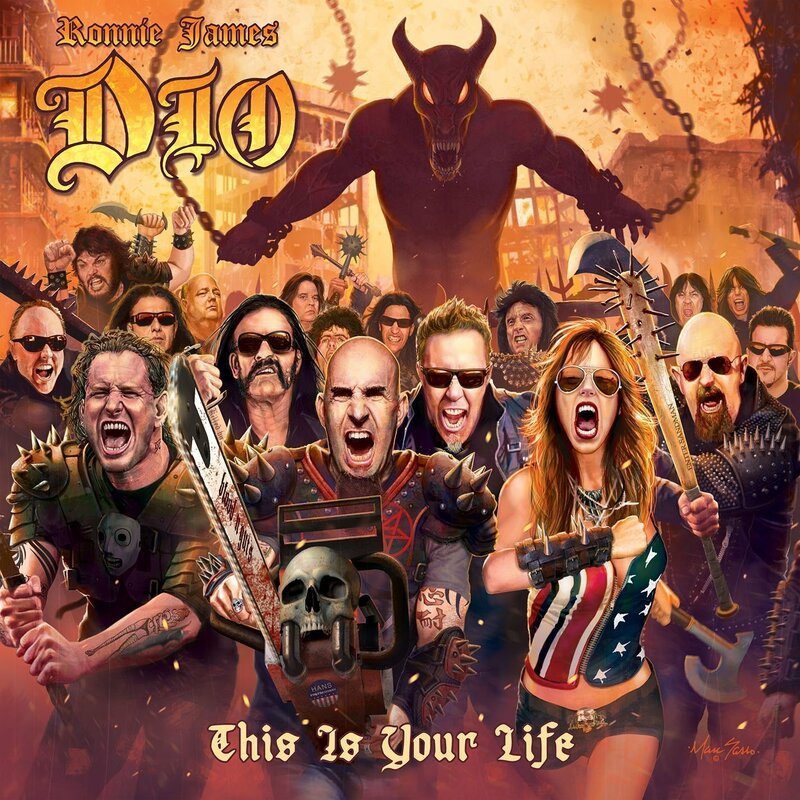 Even the band’s cover of “Jesus Is Just Alright” features a very metal guitar solo! Another highlight of the album of Michael Sweet’s vocals. He’s never really gotten the credit he deserves. He sounds phenomenal and is one of the better vocalists to come out of the glam metal era. What a great job he does on the rifftastic “Saved By Love”. It’s great to see this band continue to evolve. No More Hell to Pay seems to be one-part Murder By Pride and one-part classic heavy metal. Even if you’re not a Jesus freak, there’s plenty to enjoy here if all you want is to do is bang your head. Religion aside, Stryper is one of the few successful bands that I never got into when I was discovering the wonderful world of hair bands and glam metal. Despite owning a few one or two albums from their original run, it’s actually their later albums that pulled me in and converted me (no pun intended) to a fan. Despite the fact that Second Coming is the band re-recording their own material from their peak years, it has further solidified Stryper’s status with me as one of the best and most relevant hair bands in modern times. I won’t even pretend to know how some of these songs compare to their original versions but it’s safe to say the production is greatly improved and these songs just sound so HEAVY now. Classic metal songs with a modern twist. These oldies are definitely beefed up to match the power and sound the band has been displaying on their recent albums. When the band released The Covering (an album of covers… what else?) they included one new track called “God”. It’s one of my favorite songs from the last few years so I was definitely looking forward to the two NEW tracks that were included on this album. Both continue on in the fine tradition of modern Stryper. Another major standout for me is “To Hell With the Devil”. It finally sounds exactly like it always deserved to (okay, that is the Stryper song I’ve always loved)! Die-hards are probably all over this already but casual Stryper fans should give it a shot to hear some of the band’s classic material with updated production and to check out the new tunes. Luckily, the album art is not a good indicator of the music itself because this is seriously one great album of covers! When I first heard it was going to be a cover album, I kind of rolled my eyes. That’s usually a sign that a band is slowing down and/or giving up on new material but then they started releasing all these samples and they sounded amazing. I guess the band has caught some flack from their Christian fanbase for having the gall to cover secular music and evil bands such as Judas Priest, Black Sabbath and KISS but whatever. Get over yourselves! Christian acts don’t need to be singing about God & Jesus in every single song. Just because you want to cover Van Halen and Scorpions it doesn’t mean you’ve turned your back on the Lord. Anyway, what a great line-up of bands to cover! In order, they are: Sweet, Scorpions, Black Sabbath, UFO, Kansas, Deep Purple, KISS, Ozzy Osbourne, Iron Maiden, Judas Priest, Van Halen and Led Zeppelin. The only original song of the bunch is “God” which is a fantastic hard rocker that just doesn’t let up and gives me hope that maybe the band will put out an entirely new and original album later this year. 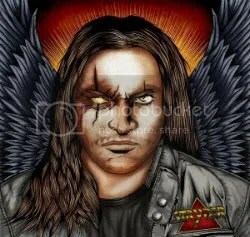 It was Murder By Pride that pulled me onto the Stryper bandwagon. That was a very good album. Sometimes a veteran act seems to be going through the motions even when they release new material but that wasn’t the case then and even though the band is covering songs here, they still sound energetic and on fire. “God” gives me hope that maybe the band will put out an entirely new and original album later this year because they are on a roll. The band stays pretty faithful to the source material only making slight alterations here and there but these are some killer covers. “Blackout” and “Lights Out” are pure fire and it’s interesting to hear Michael Sweet vocals on these songs. I think he’s got a unique singing style and it’s interesting hearing him find some middle ground between his own style and the styles in which these songs were originally sung. One of the better cover albums I’ve heard. Essential pickup for 2011. 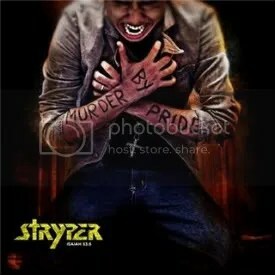 Murder By Pride is my very first Stryper album. I don’t know how it compares to the “classics”, but I’m enjoying it. There are a few spots where it borders on getting very cheesy (“Alive”, “I Believe”), but the songs are good enough to be guilty pleasures for me. The guitars on “I Believe” sound very much like Creed, but I still enjoy the song. “4 Leaf Clover” and “Murder By Pride” are my favorite tracks and they do a great job of blending 80s hard rock with a modern sound. The rest of the album is full solid hard rockers, which is more than I was expecting. I had it in my head that the chance of some lame pop rock/”Honestly” songs were going to be pretty high, but it just wasn’t the case. Like I said, I don’t know if this holds a candle to old school Stryper, but it’s got me interested in taking a listen to find out. The band does a faithful cover of Boston’s “Peace of Mind”. It had better be faithful since Tom Scholz plays on it! Of course, Michael handles co-vocals & guitar for that band following the passing of Brad Delp. I could not find any info on why, but for whatever reason, founding member and drummer Robert Sweet (Michael’s brother) did not play on this album and a session player filled in. At least that’s what I’ve read online (even though the album credits list both Sweet and Aronoff on drums). He is scheduled to tour with the band though.